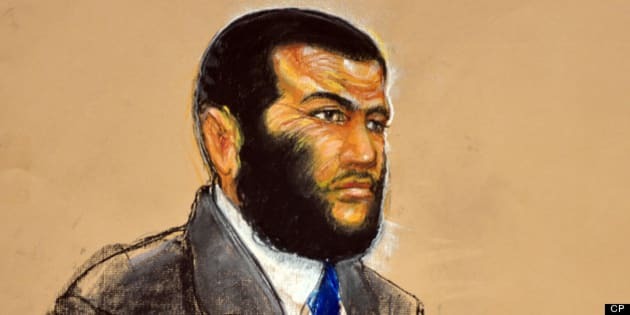 TORONTO - Prison authorities ignored favourable information in unfairly branding former Guantanamo Bay prisoner Omar Khadr as a maximum security inmate, according to Canada's prison ombudsman. In a recent letter to a top prison official obtained by The Canadian Press, the Office of the Correctional Investigator urges another look at Khadr's classification. "The OCI has not found any evidence that Mr. Khadr's behaviour while incarcerated has been problematic and that he could not be safely managed at a lower security level," the letter states. "I recommend that Mr. Khadr's security classification be reassessed taking into account all available information and the actual level of risk posed by the offender, bearing in mind his sole offence was committed when he was a minor." In his letter, Ivan Zinger, executive director of the independent Office of the Correctional Investigator, calls the case "unique and exceptional." He says Khadr has shown no evidence of problematic behaviour while in Canadian custody and notes the Americans had categorized him as minimum security. "According to a psychological report on file, Khadr interacted well with others and did not present with violent or extremist attitudes," Zinger writes. The classification is important as it affects Khadr's day-to-day prison existence, such as his access to programs, as well as on his potential for parole. The Toronto-born Khadr, 26, spent a decade in the notorious U.S. prison on Cuba. He was transferred to Canada last September to serve out the remainder of an eight-year sentence handed down by an American military commission for war crimes he pleaded guilty to committing as a 15-year-old in Afghanistan. He spent the next several months in segregation in Millhaven penitentiary west of Kingston, Ont., classified as a maximum-security inmate before his transfer to Edmonton Institution in late May. Prison officials have defended the maximum-security classification, arguing among other things that Khadr poses a moderate escape risk and sparks high public-safety concerns. Zinger's letter — written a day before the inmate was moved to Edmonton — takes issue with the assessment. He cites an American military psychiatrist as saying Khadr showed no signs of aggressive or dangerous behaviour, and "consistently verbalized his goal to conduct a peaceful, pro-social life as a Canadian citizen." "Our office questions the rationale for not using these professional and expert assessments on file," Zinger writes to Anne Kelly, senior deputy commissioner of the Correctional Service of Canada. Dennis Edney, Khadr's Edmonton-based lawyer, said over the weekend that Zinger's concerns are more evidence of a Conservative government campaign to demonize Khadr. "This report contradicts the fiction put out by the Canadian government that Omar Khadr poses a security risk," Edney said. "The government has long known Guantanamo officials viewed Omar as a 'good kid'." Last week, Edney asked the courts to force the inmate's transfer to a provincial jail, calling his incarceration in Edmonton Institution illegal given that Khadr was 15 when he committed the offences to which he pleaded guilty. Alberta's Court of Queen's Bench is expected to hear the application Sept. 23. However, rookie Public Safety Minister Steven Blaney is sticking to the hard line of his predecessor, Vic Toews. "The Government of Canada will vigorously defend against any attempted court action to lessen his punishment for these crimes," Blaney said in a statement last week.